Contamination, particles, outgassings or vapours which are introduced into the pump cannot harm a Varodry. These one-hundred-percent oil-free, dry-compressing screw pumps also tolerate disruptive factors which occur when processes are not stable. They have a number of other advantages too. 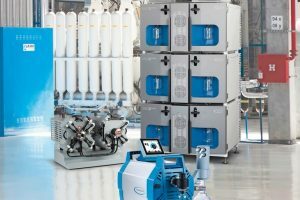 Screw pumps, currently the state of the art in the field of industrial vacuum pumps, are predestined for demanding tasks. Their functional principle can be compared to that of an extruder, which simply pushes out disturbing particles. In addition, these pumps are very good at handling fumes. The Varodry series is ini-tially available in sizes VD65 (65 m³/h) and VD100 (100 m³/h), with VD160 and VD200 already in preparation. In addition to the general advantages of the screw pump principle, Varodry pumps are characterised by quiet running and an unobtrusive noise level. At the same time, they can make a significant contribution to improving production processes. The variable arrangement of the inlet flange allows flexible placement of the pump within the system. Furthermore, the special design of the silencer (without any sponge-like damper materials) and the mounting of the outlet flange at the lowest point on the pump allows any liquids or condensed vapours that are introduced to be completely discharged, thus preventing the formation of a “dam”. Rust formation is avoided and process safety improved. The pump’s loading capacity and efficiency likewise have benefits for the process. It can be operated continuously at any suction pressure and is completely resistant to repeated shock ventilation. Any number of cycles are possible without overloading. One important differentiator of the Varodry is the complete absence of oil. 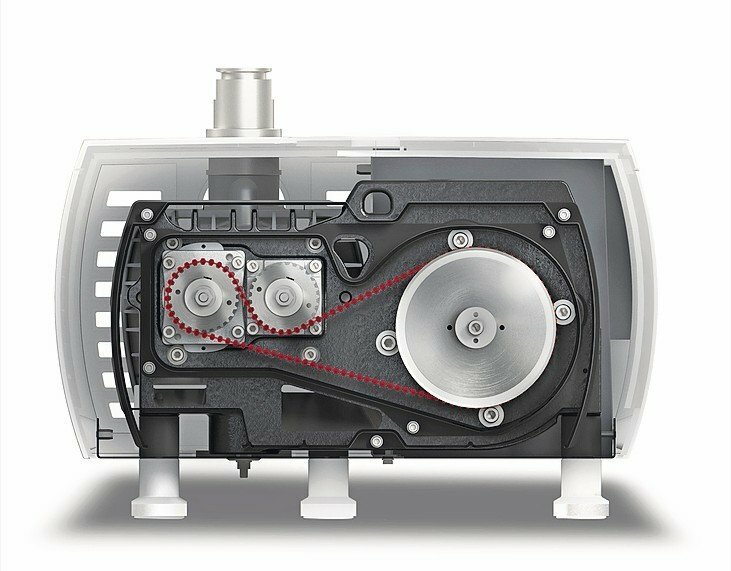 Conventional screw vacuum pumps are also dry-compressing but have gear compartments in which oil is used to lubricate the bearings and gearwheels. None of this applies to the Varodry. There is no possibility of oil migration from the drive chamber to the pump chamber. Reactions between this oil and process media are ruled out, as is back diffusion into the process chamber. 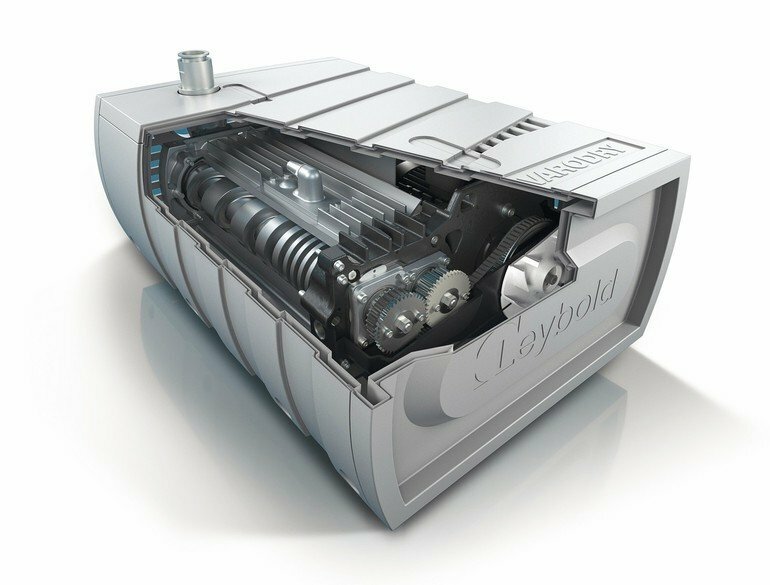 The Varodry has grease-lubricated ball bearings and does not require synchronising gears. It is driven and synchronised by a high-tech toothed belt, which can be changed by the user in a few minutes. This eliminates the need for oil changes, in other words no oil can get into the process or drip underneath the pump. These properties of the Varodry are fundamental to the reduced costs and increased system cleanliness. 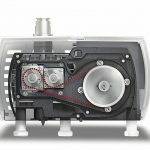 Another advantage is the fact that the pump is fully air cooled. This simplifies its integration into the system considerably, as a potentially complicated water supply can be dispensed with. 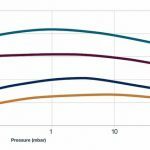 In contrast to most conventional products, the Varodry has a moderate temperature profile. The low internal temperatures, which are a maximum of 100 to 130 °C depending on the operating point, also permit temperature sensitive media to be conveyed, since there is no immediate decomposition which could cause deposits to form. This moderate temperature represents the optimum for many applications and allows long-term operation with no need to clean the pump chamber. These features qualify Varodry for a wide range of applications. 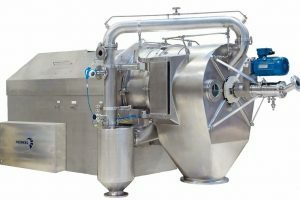 In addition to drying processes in industrial cleaning systems, the pumps are also used in freeze-drying as well as in the pharmaceutical and food industries. 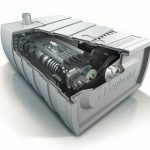 Drying applications are similarly important in lithium-ion battery production or in the manufacture of power storage units. Another target market is the manufacture of transformers and other high-voltage components containing paper insulating materials that must be absolutely dry. The humidity is reduced to a few ppm under vacuum. Here, too, the high water vapour compatibility is decisive. In composite applications, on the other hand, resins must be degassed before use in order to guarantee freedom from bubbles. They are then drawn into the pre-evacuated tissue during the subsequent infiltration. In both process steps, the resins are degassed and vapours enter the pump. This is where the moderate temperature profile of the Varodry pays off, largely preventing the formation of deposits and ensuring a long, trouble-free life. Among the typical plasma applications are part cleaning, surface activation and sterilisation, in which the bacteria are killed by the hot plasma gases without really heating the often temperature-sensitive products. In this kind of application, the chamber is generally pumped out to a pressure of 1 mbar; plasma gases such as oxygen or hydrogen peroxide are then introduced and the plasma is ignited. The pumps must be protected against the plasma gases and “burnt” by-products. In plasma processes, it is usually difficult to define the gases that the pump has to extract. A dry-compressing pump is therefore ideal here, as it can pump almost all the substances involved without problems. 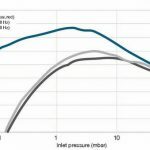 Cycle operation and pump-out times: The Varodry achieves very short pump-out times. The pump tolerates atmo-spheric pressure surges and repeated evacuation cycles. Dust and particle compatibility: Due to the screw pump principle, significant quantities of fine, dry dust particles can be conveyed without wear. 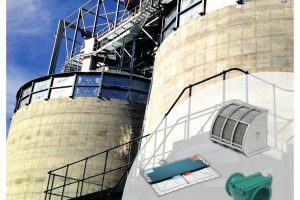 A wide range of dust filters are available for larger dust volumes. Vapour compatibility: Thanks to the optimised temperature, the Varodry offers a high degree of vapour compatibility to prevent condensation and corrosion on the inside. Handling of reactive gases: Vapours, especially hydrocarbons, tend to react inside hot pumps. This can result in deposits blocking the pump. The moderate temperature in the Varodry reduces this risk to a minimum. Fluid compatibility: The pump tolerates fluid droplet carry-over and even fluid strokes.